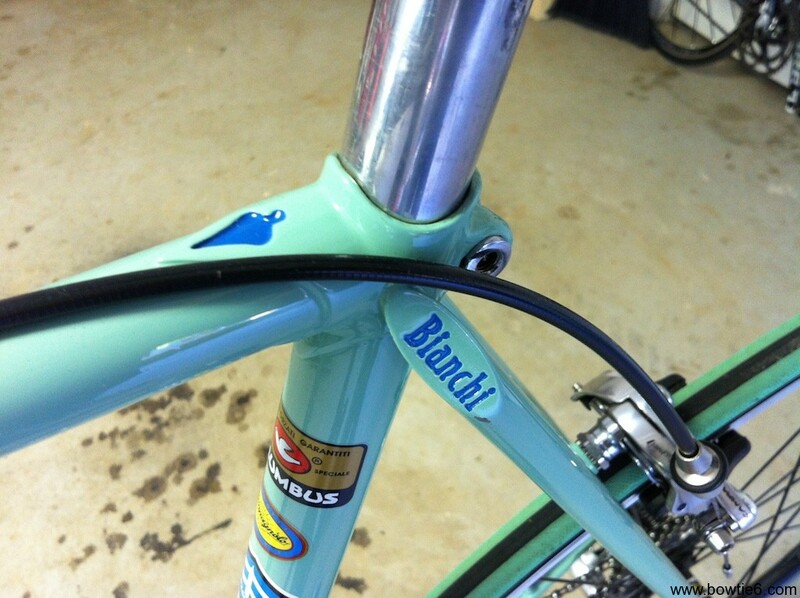 Found a Bianchi bicycles in basement of apt. Wondering if it has any value? Hmmmmkay… Kinda hard to tell without any more info about the bike(s). Sorry for the late reply… I had to go find the box I had stored the can of paint in. Since this was a “custom” blended color, the paint shop did not list this as a regular production paint used in any car. Like I said in the article, this was matched to the sample I was able to make from the little vial of touch-up paint I got from Bianchi USA. Basically I just had the sample matched at the auto paint store and they did a great job. That is why it was “off the grid” so-to-speak. 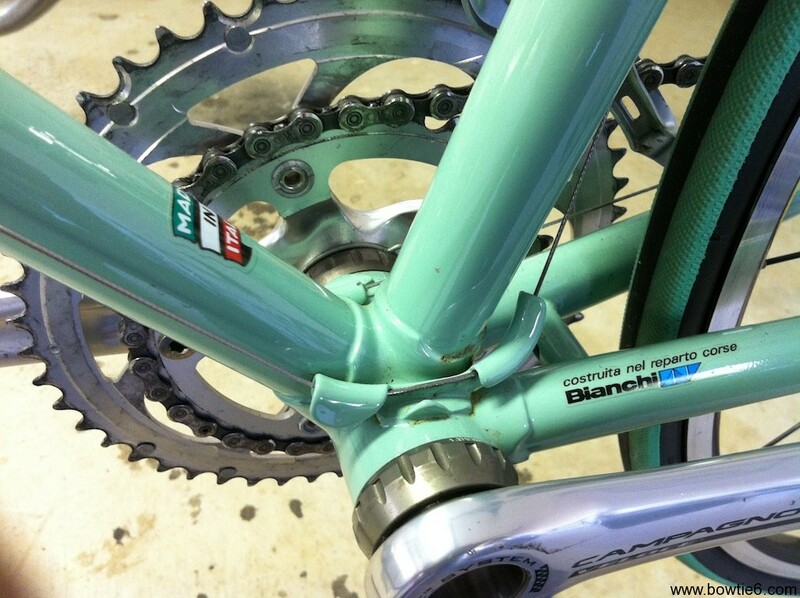 Thank you very much for the compliment on my Bianchi! Fiat has a Celeste Blu, Verde Agua & Verde Chiaro. Lighting with the paint makes a difference in the pictures. In some, the color looks bluer, yet others it’s greener. Either way it’s classic Fiat color codes, the 1957 edition is indicated as Celeste, but looks like Verde Chiaro in a lot of pictures. Google the three colors and you’ll see what I mean.